Let the soybean milk cool slightly and strain through a muslin cloth. Then return the soy bean milk to a boil again. Simmer for another 20 minutes. 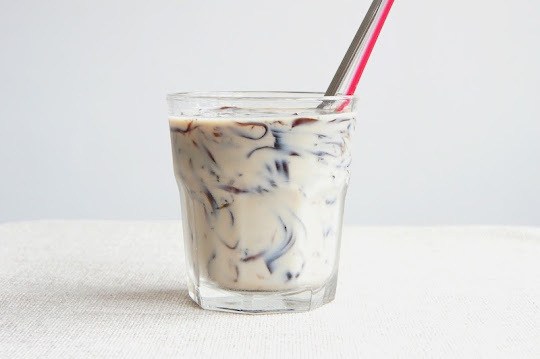 Serve the soybean milk warm or cold with sugar syrup and some shredded grass jelly. i like this very much. my favorite drink.